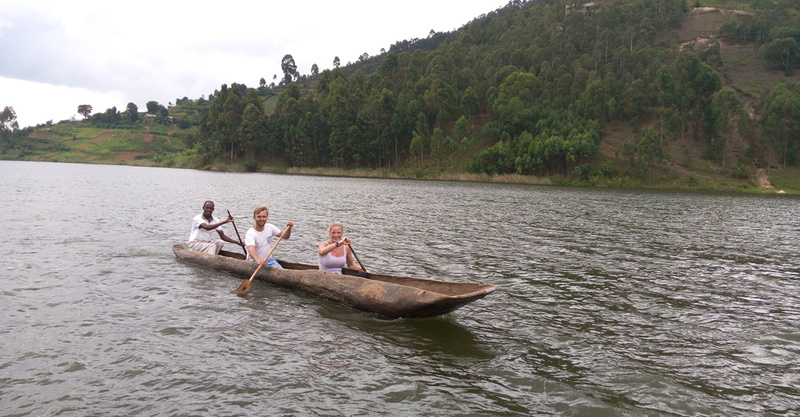 The motorboat trip takes you along the numerous islands of Lake Bunyonyi. Explore the beautiful islands in a traditional African Canoe. 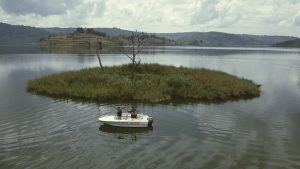 Lake Bunyonyi is good for Yellow fish and Nile perch. You can rent some tackle for a small fee at the bar and give it a try down at the lake. Or you can rent the boat incl. equipment and guide. Why not spend a day watching the local birds and wildlife around the camp and on the islands. See if you can spot the easily recognizable white headed ‘Fish Eagle’. You can also hire a boat for a bird cruise on the lake. 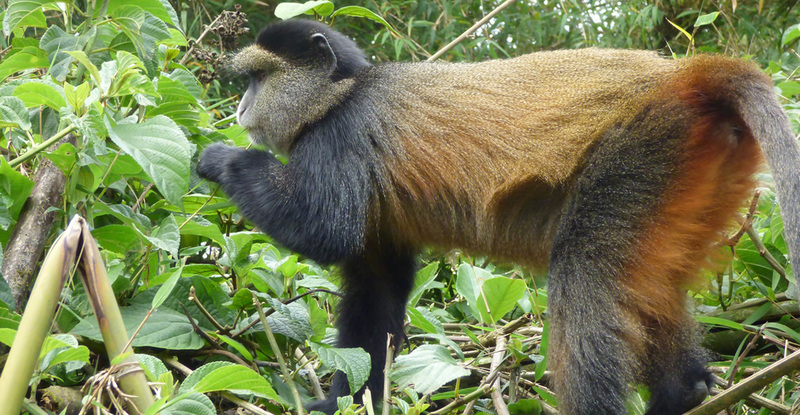 Even monkeys, otters and monitor lizards are pretty common. This stretch of the river is free of Crocodiles and Hippo’s but still swim at your own risk. Witness the villagers’ traditional and simple lifestyle, which has changed very little throughout the past century. Spot the fish traps and fishermen at the rapids and watch the locals work the field. 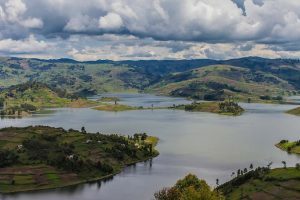 A bodaboda (motorcycle-taxi) will take you to the village of Bukona along a scenic route offering beautiful views over the lake and its many islands. In the village the blacksmiths practice their craft the traditional way, using charcoal and pumps. This visit offers a nice opportunity to obtain some unique souvenirs. Relax with a drink. Watch the wonders nature. Witness the dramatic colour change of the sky on our river sunset cruise. 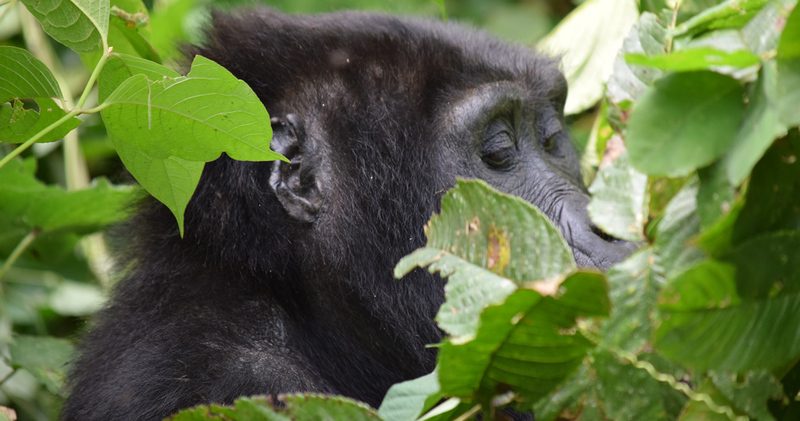 Reflect on the day’s events in front of our “African TV”. Enjoy free 3G internet access (Wi-Fi) with 2 providers to ensure always a good connection . Check your emails with your or our laptop. DVD player, DSTV, volley ball, foot ball, badminton, canoe, hammock, table tennis, sandpit …no charge. Ask the reception for more information on how to go and see these wonderful animals. We can arrange permits and transport. High season 650$ pp. + transport.